Eleanor Unsworth is studying Children's Nursing at LSBU and was surprised how easy and simple it was to secure her spot through Clearing. "Initially I applied to universities in the north of England as I wanted to be near my home in Stockport. But I was not accepted by my first university choices, so I knew if I wanted to study Children's Nursing in September I would need to go through Clearing. "I decided to apply for Children's Nursing at LSBU as students are able to complete placements at world renowned hospitals and trusts in London and the South East. Not to mention, LSBU is the only university to place students at Great Ormond Street Hospital for Children. "The Clearing process a lot simpler than I thought it would be. Firstly I checked online if the course was still accepting applicants - thankfully it was - and then I applied. I was invited to come in for a test and interview, and then was later informed that I had been accepted. I was really worried that the Clearing process would be stressful, but it wasn't at all, it was such an efficient and smooth process." Eleanor's passion for nursing began while working as a swimming instructor in college. "I enjoyed building a relationship with the children and caring for them in times of need. This is when I realised that a career in Nursing would be right for me. 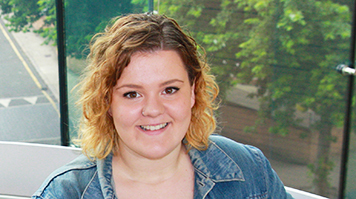 "Studying Nursing at LSBU has been one of the best decisions I have ever made. I have been allocated to carry out my placements at Great Ormond Street Hospital and have been doing multiple shifts which is really giving me a first-hand experience of the type of duties I will be required to do once I qualify as a nurse. "The skills labs have been a great way of learning when we are doing our on-campus training. We have the opportunity to learn the manual handling of patients, basic life support and skills specific to the field of children's nursing without feeling the pressure of being in a real ward. "I was nervous about moving to London as I had only visited twice prior to starting LSBU. But I was able to settle in really quickly, met some great people and love being able to study in one of the world's most vibrant cities."